Boerse Stuggart, the second largest stock exchange in Germany, has launched its cryptocurrency trading app which will allow users to trade in Bitcoin (BTC), Ethereum (ETH), Litecoin (LTC), and Ripple (XRP) free of charge. 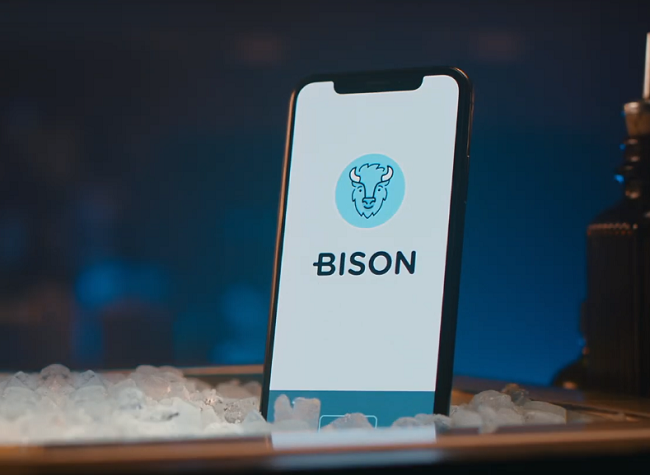 The app, called BISON, has been developed by Sowa Labs GmbH, a subsidiary of Boerse Stuttgart Digital Ventures GmbH. It has been in development for nearly a year and is now available in app stores for free download to iOS and Android devices. To begin trading, users can now register and prove their identity by video-identification. They can trade on Users can trade on BISON from 6.00 to 24.00 hours (CET) Monday to Sunday at the prices displayed in the app. BISON makes its money from the spread between the buying and selling prices displayed, Boerse Stuggart explained. Importantly, BISON users do not need a crypto wallet as the app includes safe custody of the acquired cryptocurrencies. After buying cryptocurrencies on BISON, they can raise a request to transfer them into their own wallet. Furthermore, the app’s artificial intelligence-based “Cryptoradar” feature will analyse around 250,000 tweets per day from the crypto community, filter them by relevance and present them in a user-friendly format. Boerse Stuggart said that more functions will gradually be added to the app. “These will include the extension of trading to 24 hours a day, seven days a week, and additional trading functionalities. We will also enable trading in further cryptocurrencies, which will be selected considering criteria such as market capitalisation, customer interest and whether they can be kept in safe custody,” Dr Ulli Spankowski added. Boerse Stuggart plans to expand the app to other EU countries during 2019.